A question I get asked a bit recently is How To Make A YouTube Private Channel. This is typically asked by parents who want to show videos of their children to family members, or small business owners who want to show a video to a customer or client but no one else. 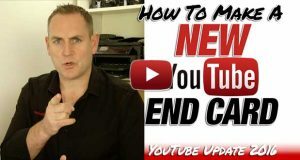 With all the changes on YouTube recently, being able to have a private YouTube Channel is no longer possible… so what can you do..? With Google+ now controlling everything in the world of Google, this includes YouTube. You can no longer make a Channel Private as Google+ doesn't allow it. So to make things private, you have to work on the video level. 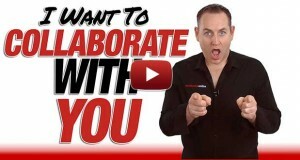 You need to make your videos Private or Unlisted and give access to those people who you want to see them. To set this up, go to Video Manager on the top. Select the videos you want to make Private or Unlisted. Then from the dropdown, in the Privacy area, select Unlisted or Private. Unlisted will mean your videos are hidden on your YouTube Channel, but people can still see them if they have the link. Private means only those you allow access to the videos will get to see them. You need to add their email to that video in order for them to see it. 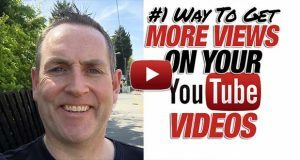 To see how you do this, check out my video on how to How To Make Your YouTube Videos Private. You can change any of the videos to Public, Unlisted or Private via the Video Manager to make things easier. Watch the video below to see the step by step way to do everything. Thanks for this short tutorial, it gave direction. However, you stop short of showing how to invite viewers once the video is private. When I add email addresses to share a private video with, I receive an error from YouTube: ! Couldn’t share video. Please try saving again. The email addresses are definitely valid and correct. I made no changes other than changing it to private. To add viewers to your video, the email address has to belong to a Google+ account. So anyone you invite has to have a G+ account. That’s how YouTube allows people to view the video. HI David ta for trying to clear up some privacy issues. I have done as you suggested and made all my Playlists Private but the bloomin ones that I Liked still show up as that list does not seem to have the box come down that gives you choice of making it private. Anything I can do about that? You Tube is rather a minefield esp as it seems to cross pollinate with G+ etc which I don’t use. It still seems when I go into my Channel name and myYou Tube account comes up without being signed in & all my vids seem to be there on the opening page. I tried this in incognito mode just to make sure I was opening as if anyone else could and bingo all just appeared. I just checked and they seem to be my liked Vids even under Home tab. Same vids come up under Videos Tab. Playlists Tab all gone apart from Liked vids which as I asked before cant seem to be removed. I subscribed to a couple of channels and they still are there. Hardly private. Cant seem to hide them. ( Not that they are dodgy). Nothing under Discussion Tab and bloomin Google Plus under About Tab. I would like all my vids liked favourites what ever to not appear at all. At the moment they all seem to be there. I can give you my You Tube name so you can check if you want. I picked up your website on the web. No, you don’t typically get the option to hide the “Liked” playlist. Have you hidden your history? IF not, then you need to do so. This will remove the videos you liked from the front of your Channel. Does this mean the limit of 25 users in a Google Private Channel is effectively lifted to however many people you have in your G+ circles? Is there a commercial/enterprise use for this (i.e. Can I still give access to an unlimited number of clients if those clients don’t have G+ accounts)? In effect yes, because there’s no more Private Channels any more. You could try and fit this sort of thing into an Enterprise use. There are easier ways to do this by setting up a site with logins for your users/members which you can manage a lot easier. If you really wanted to use Google+, then set up a private Google+ Community, just like a Private Facebook Group, and you can manage things that way. Your videos were very helpful. I need further help with two issues and would appreciate any input. 1. Once I share a video, a mail is sent to the person I gave access to and they were able to watch the video. Is there a way they wont need to access that mail every time they need to watch that video ( other than liking it ). I am trying to recreate a private channel functionality which is not available as you said but any workaround that lists all shared videos for that person on one page or tab would be great. 2. The other help is that the shared video is accessible on Android and Windows ( after they sign in ) but they are not on iOS 8. It says video is marked private even though Google+ , youtube are installed and the person has signed in. For 1, I found a workaround. My videos are private but I created a public playlist. So while the public can see the playlist, they cannot play the videos. The restricted audience can play the videos and once they open the queue they can even see the thumbnails and the video descriptions. This works as a solution for my problem 2 as well since the playlist opens within youtube and not embedded in Google+. Ok, what you can do is to set up a Private Google+ Community. You can allow anyone in that Circle/Group access to the videos in the Community. That would take away any need for people needing to click anything to make sure they see the videos. Would need your 2 cents here. I have a Youtube channel that needs to go down (for brand purposes). However, I have several videos (+/- 30) that are private on this channel that are still being used for internal purposes. I guess I could put all videos in private and leave the YT channel up. I don’t like that option as my brand would still be out there. I guess it is better than bringing the channel down (along w videos) and re-upload videos in private on another platform. Unless you have an idea? YouTube/Google have made it that you can now change the channel that your videos are on. So you could in fact, move those videos you want to keep up, keep your URLs and have them on a different Channel, with different name, etc, so your brand is taken off YouTube and it’s kept safe. As you would expect, this isn’t an easy process to explain. So I’ll be creating a video on this soon for you. Is there a way to make it so the people allowed in a private video will view it on my subscription page? Currently it shows no videos, unless they link to it from Google+. Nope…. they’ll need to watch it on the video watch page. The only thing you could get would be to put it in a playlist and have your other videos on the playlist, but that’s about it.